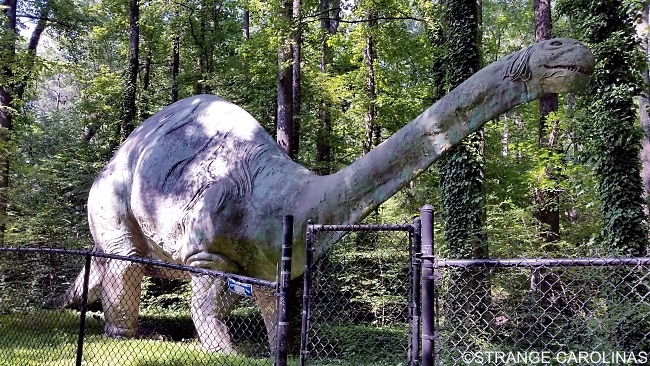 If all dinosaurs were as tough as the old Brontosaurus from Durham's Museum Of Life & Science's original Dinosaur Trail, they might still be roaming the Earth today. 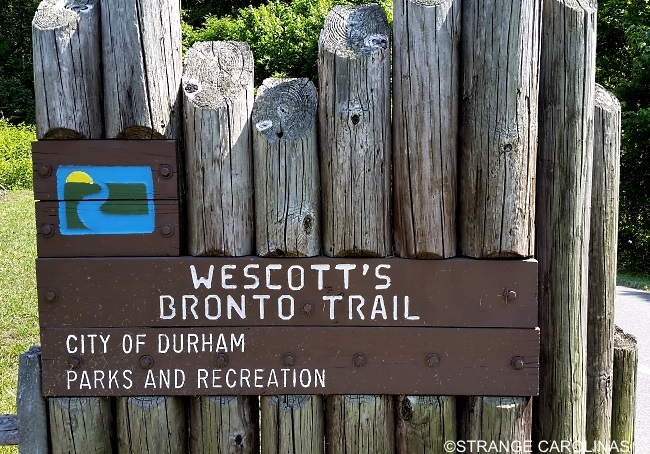 While the Brontosaurus at Wescott's Bronto Trail is fortunate enough to have a trail named after him, he's still had a pretty crappy life. Once part of the original Dinosaur Trail, the Brontosaurus stood alongside ten prehistoric friends. In 1996, Hurricane Fran blew through town, damaging many of the dinosaurs. 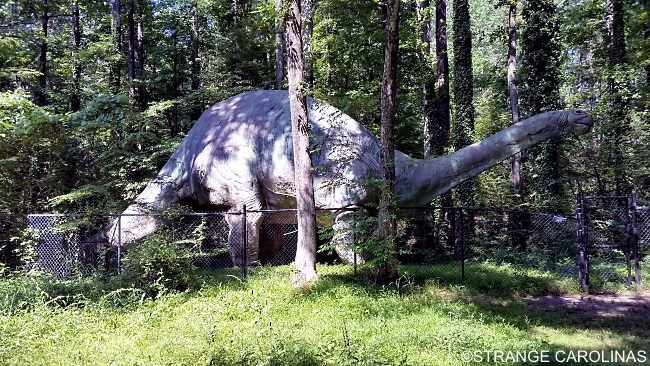 The Trail was closed, and the neglect led to the further deterioration of the dinosaurs, except for our mighty Brontosaurus, who still stood tall, even with a homeless man taking up residence in his stomach. 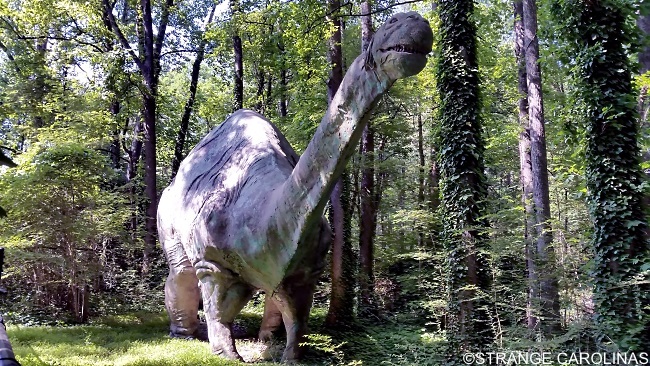 In the 2000s, the Museum Of Life & Science decided to build an all-new Dinosaur Trail, but they did not extend an invitation to the old Brontosaurus. 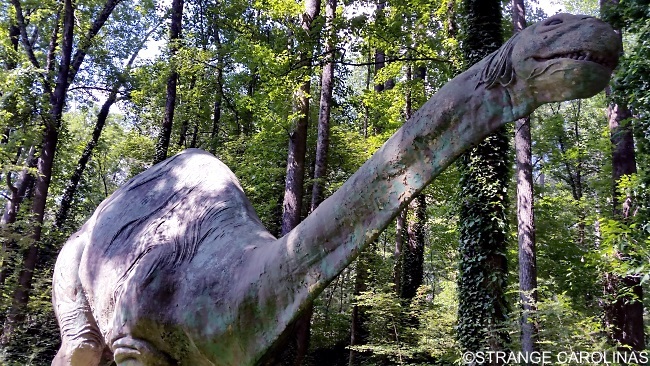 While the new trail was being planned and built, dinothugs decapitated the old Brontosaurus one night, tearing off most of his neck in the process. His head was eventually found and, thanks to community outcry, restored. Today, the old Brontosaurus stands behind an easily circumventable chain-link fence, awaiting the inevitable 2017 lightning strike that will probably set his tail on fire.